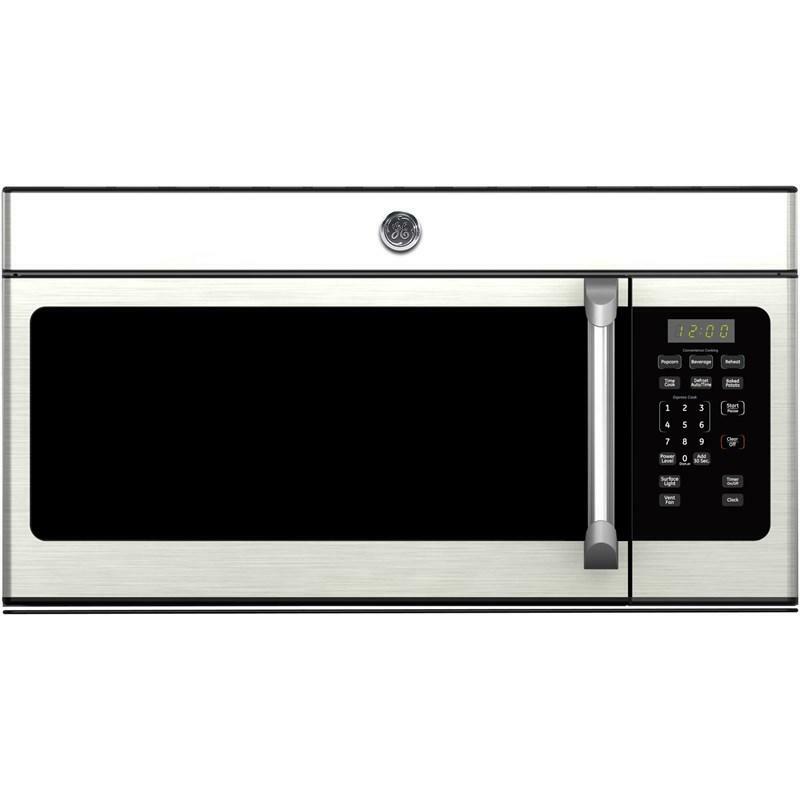 GE Café Microwave Ovens CVM1655STC (Over-the-Range) from Hills Flat Lumber Co. This GE Cafe 1.6 cu.ft. over-the-range microwave oven features electronic touch controls and 10 power levels that offers the flexibility to accurately cook any meal, from frozen entrees to refrigerated casserole dishes. The child lock-out allows you to lock the control panel to prevent the microwave from being accidentally started or used by children. 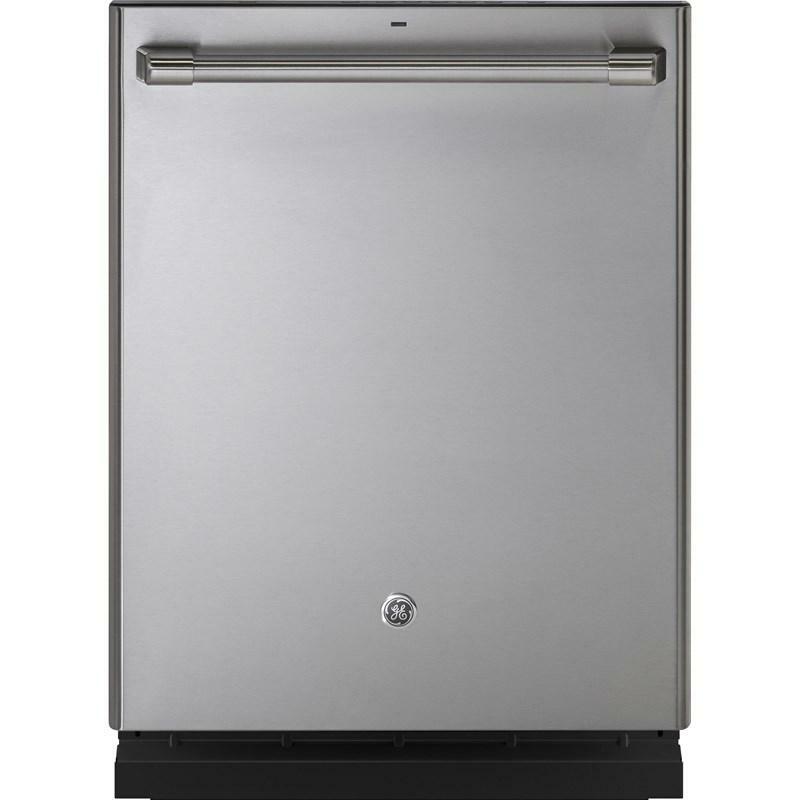 GE Café™ 24-inch dishwasher features hidden controls, bottle jets, full-extension smooth-glide upper rack and can accommodate up to 16 place settings. GE Café™ Series 27.8 cu.ft. 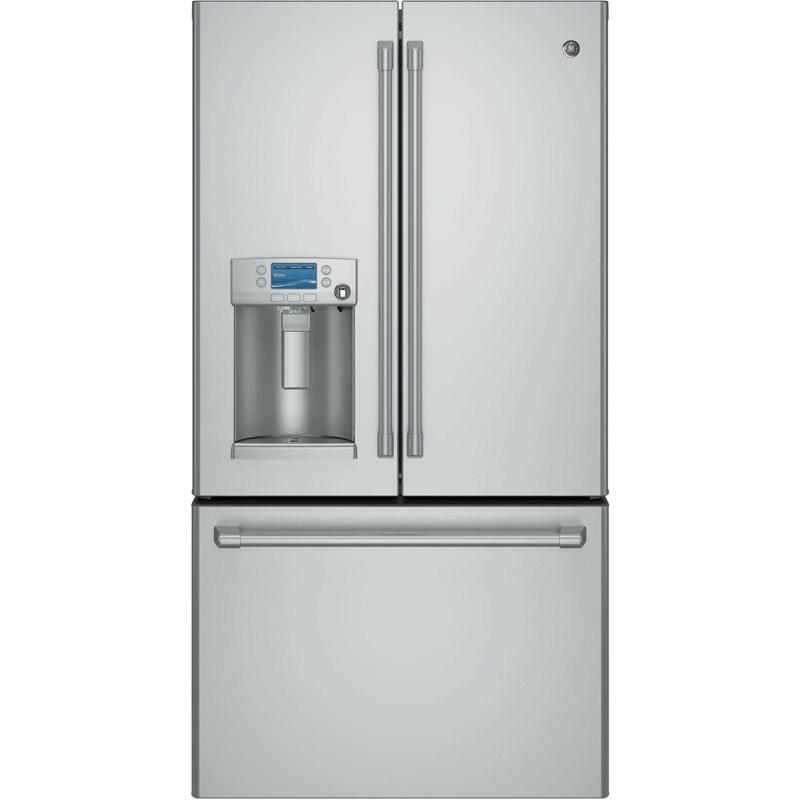 french-door refrigerator with Keurig® K-Cup brewing system. This stylish refrigerator also features WIFI connect, TwinChill™ evaporators, LED dispenser light and a water and ice dispensing system. 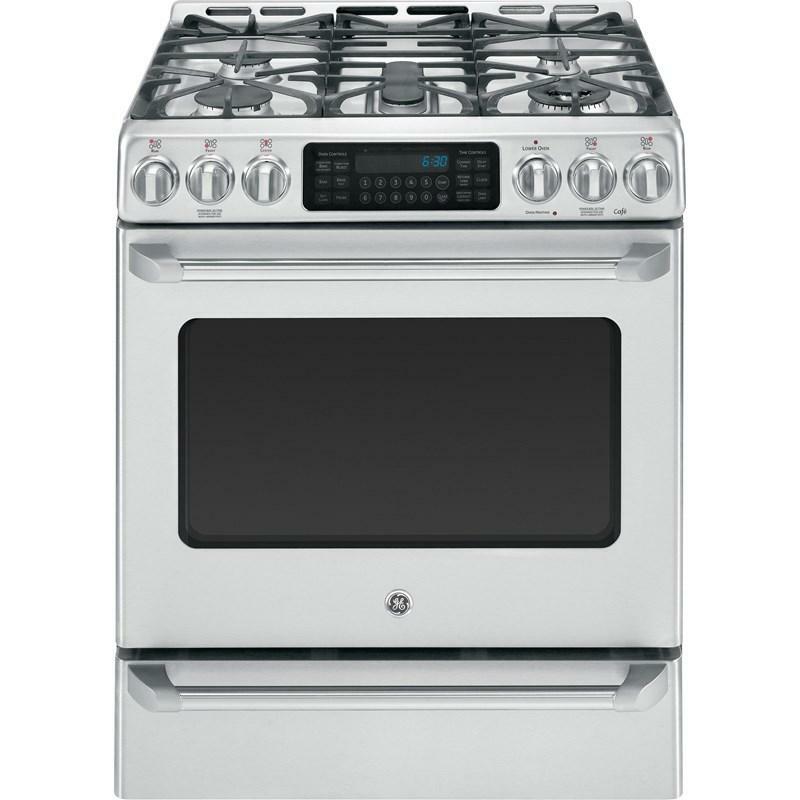 GE Cafe 30" Designer hood with dual halogen lighting (Off/High/Night), 4-speed fan control, 600 CFM rating, 7 sones rating, cooktop light with night light setting, dishwasher safe filter cleaning. 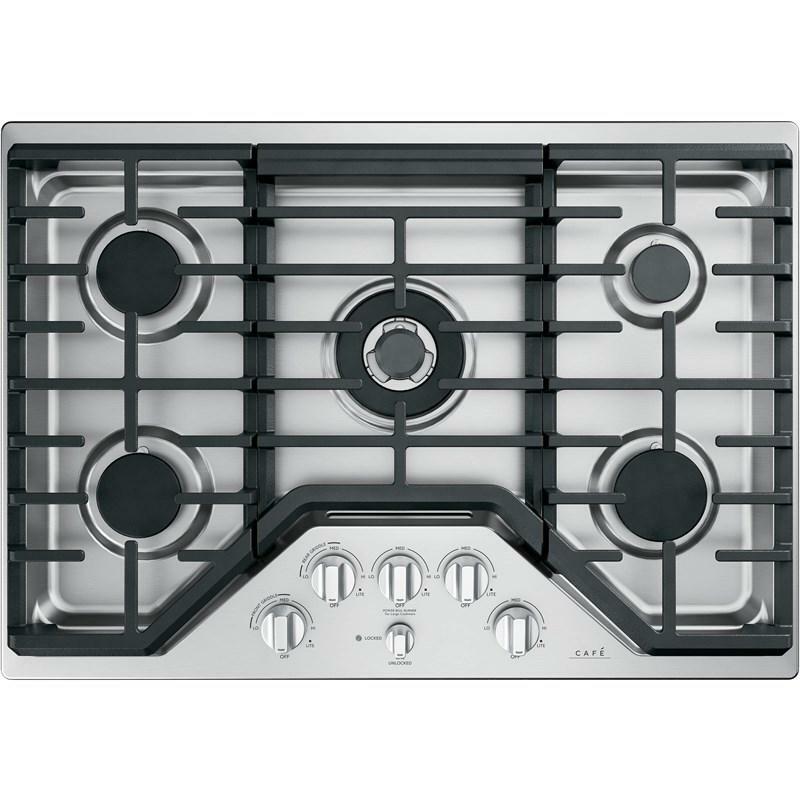 GE CAFE™ Series 1.9 cu. 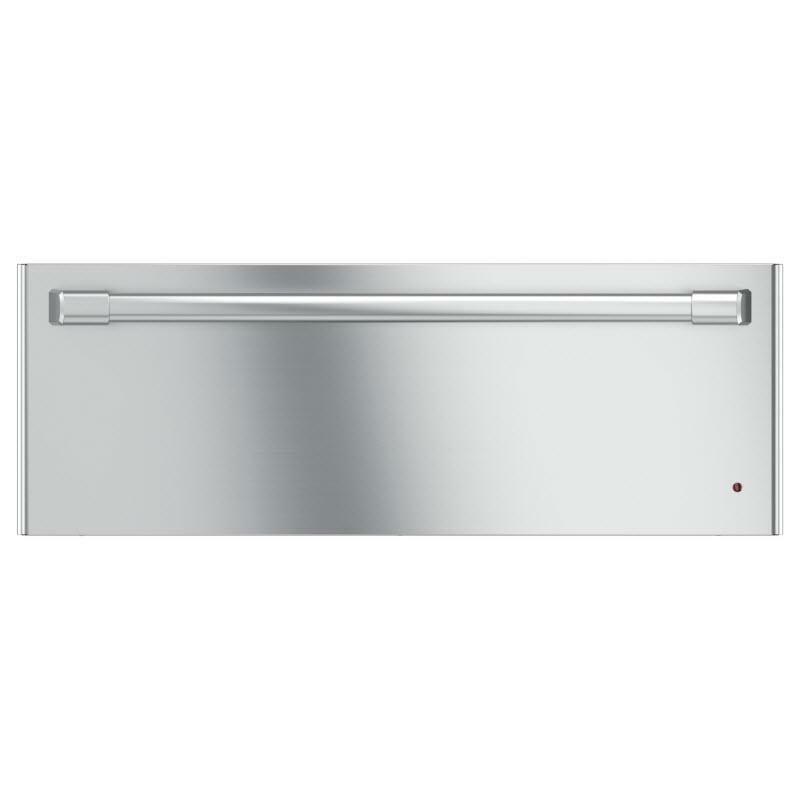 ft capacity stainless steel warming drawer. 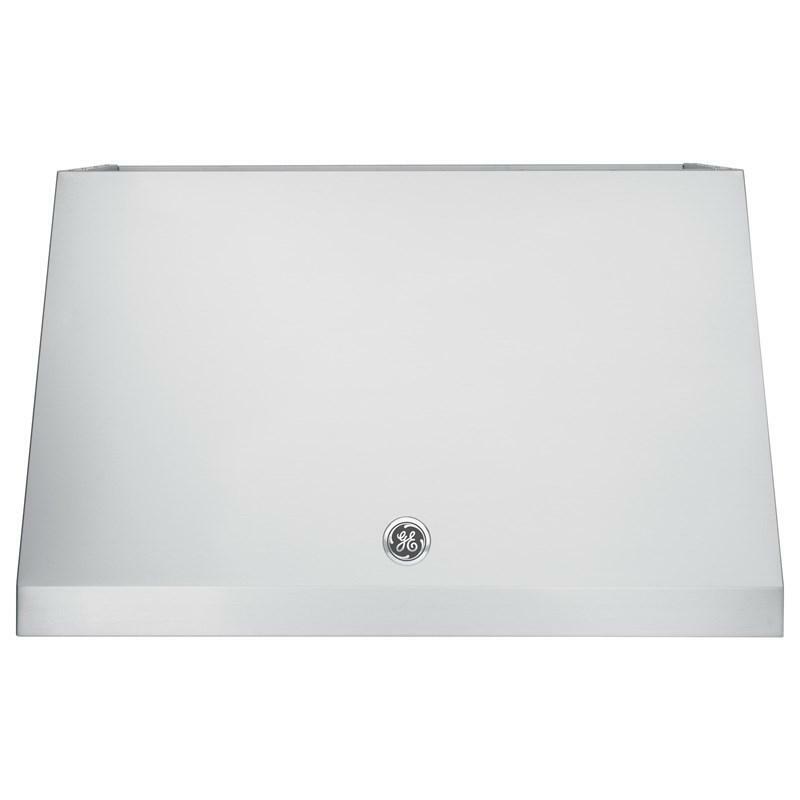 This warming drawer features variable degree control, variable humidity control and a stainless steel sculptured handle. Ge Cafe™ Series 5.0 cu. ft. capacity stainless steel built-in double convection wall oven. 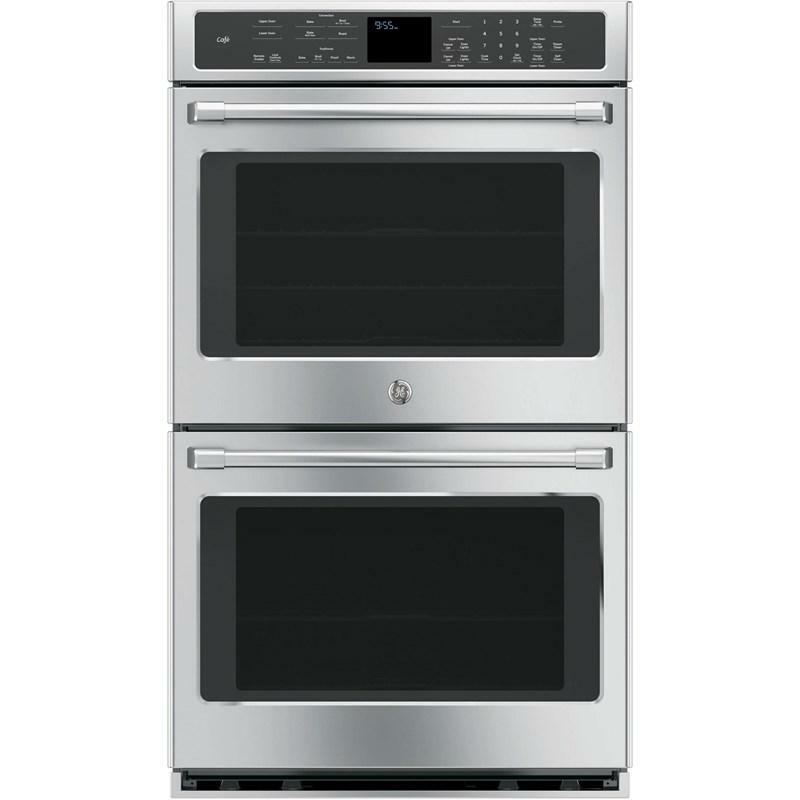 This double wall oven features True European convection with Direct air in both ovens, notification lighting and Brillion-enabled WIFI Connect.